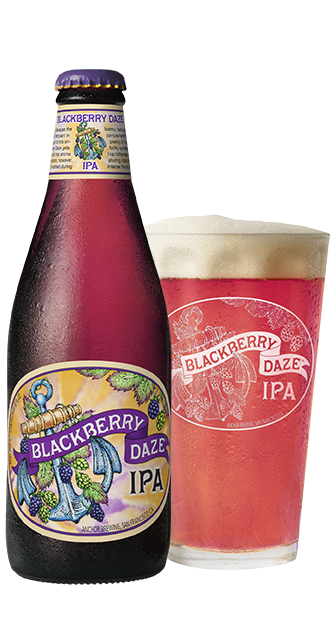 We’re thrilled to announce the release of Blackberry Daze IPA™, a synergistic union of blackberries and hops. 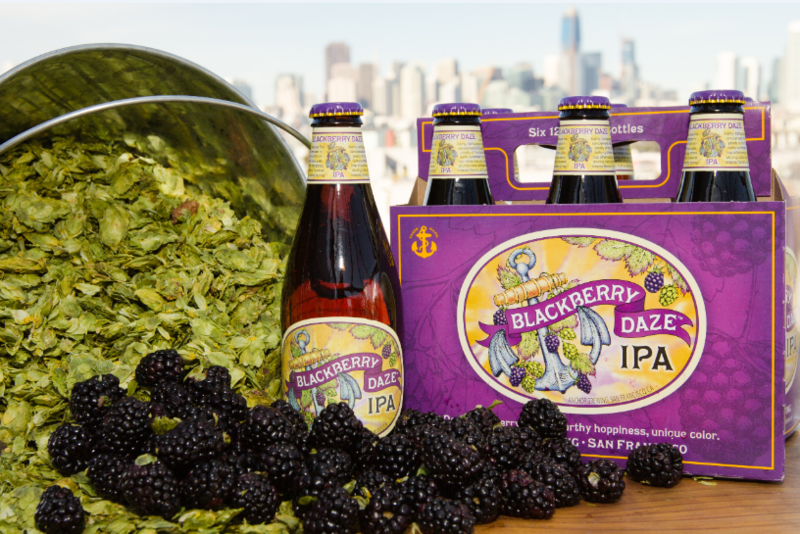 Because the blackberry was once wildly rampant in California, it is our ideal choice for this singular Anchor brew. Blackberry Daze IPA (6.5% ABV) gets its hop bitterness and some hop aroma in the brewhouse, but most of the action happens in the cellar when the fruit is added during secondary fermentation. A special blend of loamy, herbaceous hops for dry-hopping complements the brightness and deep complexity of the blackberries. The result is a funky synthesis of rich earth and ripe fruit, hop bitterness and blackberry tartness, with alluring color and aromas up front, sublimely intense flavors, and a refreshingly dry finish. The appearance of Blackberry Daze IPA is unique and unexpected as it features a ruby, blush pink color not found in your typical IPA. The packaging artwork displays a psychedelic label design that visually reiterates the beer’s alluring combination of hops and blackberries. 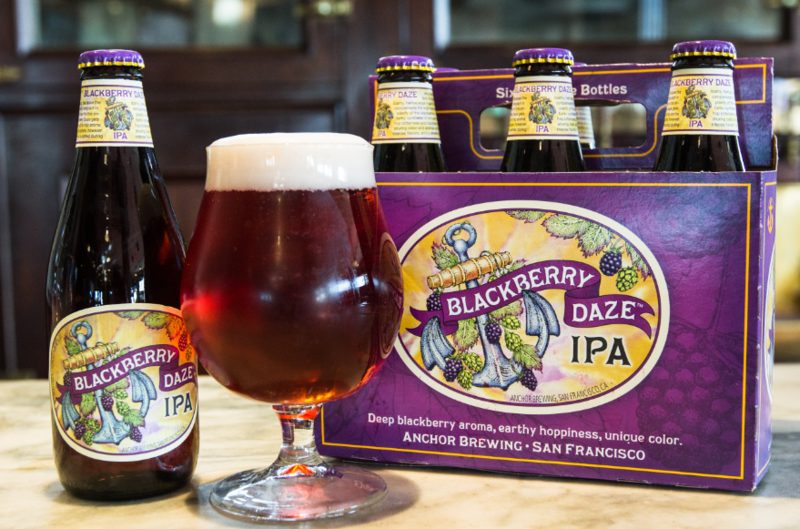 Blackberry Daze IPA is available starting in February 2017 in 6-pack bottles and on draught at select bars, restaurants, and stores as well as at the Anchor Brewing Taproom in San Francisco. You can find a brew near you by using the Anchor Beer Finder. Learn more about Anchor Brewing at www.anchorbrewing.com and follow @anchorbrewing on social media. This is the beer of the summer. Love it. May be the beer of the fall. Love it. And the beer of the winter. Did I mention I love it. Fall beer. Keep it around please!